Creativity drives human progress by allowing us to imagine new possibilities and conceive novel ideas. 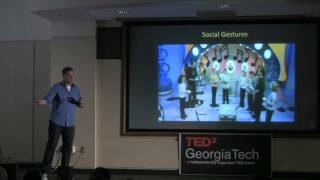 Dr. Gil Weinberg, renowned roboticist and artificial intelligence (AI) expert at the Georgia Institute of Technology, has proven that businesses can use recent advancements in AI to bolster human creativity. But “Creative AI” will not displace humans in the one area where they still have an advantage over robots, says Weinberg. Rather, these innovations are inspiring and enhancing human performance, and may one day be applied to a broader range of activities than music and the arts, including visionary thinking in all fields and industries. Weinberg’s accomplishments illustrate two facts about AI that are relevant to any industry. The first is that AI can take on a wider variety of human tasks than commonly believed, with implications for businesses looking to expand its use beyond accountancy and manufacturing into more strategic kinds of intelligence that can be applicable to organizational behavior and innovation. For example, his work on robotic musicianship leads to actionable insights about striking a balance between improvisation and structure, process and product, creativity and discipline, and individual voice and group collaboration. Secondly, Weinberg debunks the myth that humans and AI are in conflict, and reveals that they can be partners whose achievements reinforce each other, eclipsing anything that was done previously by human or machine alone. He argues that more jobs will be created than lost through automation, offering the example of the music industry where new technologies, often at first considered a threat to musicians, ended up amplifying their creativity and ability to showcase their talents. With AI as the catalyst, we stand at the cusp of a new age of human abilities greater than we have ever had or imagined. With an inquisitive spirit for innovation, Weinberg asks important questions of his technology: If AI is capable of creative thinking, would that help or harm humanity? Would we be marginalized, or could we perhaps use technology to advance our own creative potential, communication and productivity? Weinberg’s robots demonstrate that AI can be designed to effectively think and learn like humans, while performing superhuman functions. 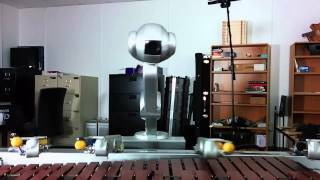 His jazz-playing robot, Shimon, uses machine learning to compose and improvise its own original music. Weinberg also designs bionic appendages. While the artificial limbs were initially created for musicians who lost their arms, they have also been adopted by the able-bodied, allowing musicians to essentially turn themselves into cyborgs, creating music that no human can alone. 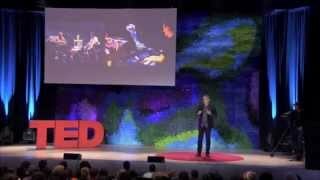 His TED Talk, “Towards Robotic Musicianship,” showcases the potential of his technology to contribute to artistic breakthroughs and new genres of music. A graduate of MIT and Tel Aviv University, Weinberg has presented his work worldwide in venues including the United Nations, The Kennedy Center, The World Economic Forum, Ars Electronica, Smithsonian Cooper-Hewitt Museum, SIGGRAPH, TED-Ed and DLD, among others. At the intersection of cutting-edge technology and music, Weinberg occupies a unique and pioneering space in the emerging field of Creative AI. 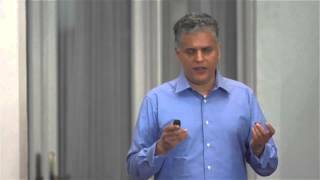 His presentations emphasize AI’s potential to transform how music is made, and explore the possibilities of broader application of technology to every area of human endeavor. Gil Weinberg is available for paid speaking engagements, including keynote addresses, speeches, panels, and conference talks, and advisory/consulting services, through the exclusive representation of Stern Speakers, a division of Stern Strategy Group®. 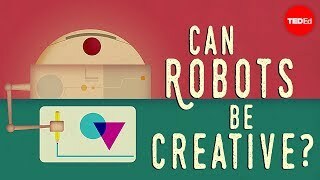 The Revolutionary Potential of "Creative AI"
Human and Artificial Creativity: How Can Robots Enhance Our Own Creative Potential? The left-brain / right-brain divide is a myth. Today we know that both analytical and creative processes are integrated across both sides of the brain. Rationality (commonly affiliated with disciplines such as science and engineering) and creativity (commonly affiliated with the arts and music) are not at odds. Humans can be both artistic and logical at the same time. But could we take the integration between the analytical and the creative a step further and develop analytical processes that would give rise to new kinds of creativity? Could this integration lead to new insights about and enhancement of human creativity and expression? 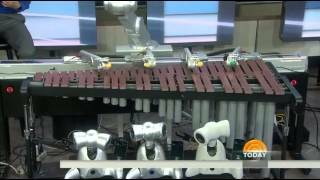 In the Robotic Musicianship Group at Georgia Tech, Gil Weinberg and his team study human and artificial creativity and develop robotic musicians that could become creative. Their robots are designed to surprise and inspire their human counterparts, and are programmed to listen like humans but play like machines. Weinberg’s team proposes that by developing and interacting with such artificially creative robots, we can push our own creativity and expression to uncharted domains, which could revolutionize creative processes not only in music but in other areas where innovation is key. Since the Industrial Revolution, humans have feared that machines will take their jobs. Consider the Luddites in the early 19th century, who famously destroyed newly invented weaving machines for fear they would replace them in factories. However, these concerns have been disproven time and time again, as most technologies have created more jobs than they destroyed. Take the vinyl record, for example, which was criticized as a potential killer of live music performance jobs. Today not only is live performance the main source of revenue for musicians, but many jobs in newer genres (such as scratching and hip hop) may have never been created without vinyl. Critics today, however, may claim AI and robotics are different since they can replace not only physical labor, but human cognitive abilities as well. Professor Gil Weinberg and his team at Georgia Tech’s Robotic Musicianship Group have been developing robotic musicians and cyborgs that demonstrate how we can use AI and robotics to inspire and enhance humans, rather than replace them. 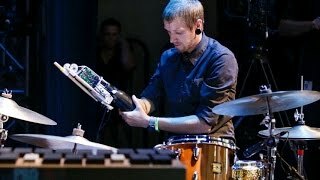 From a robotic marimba player that listens to humans and responds with new creative ideas, to an amputee drummer who would have lost his job without a novel robotic prosthetic invented for him by the team, Weinberg’s work focuses on the beneficial aspects of AI and robotics to the human spirit, mind and the economy. The cyborgs are here! Recent developments in wearable and implantable technology help people with disabilities to regain their missing capabilities, merging their biological body with technological enhancements. Myoelectric prosthetic hands, for example, allow amputees to perform basic daily-life activities by sensing and operating on electric activity from their residual limbs. Can these new developments not only bring back lost functionalities but also provide humanly impossible capabilities? Can those who were considered disabled become super-abled? At the Robotic Musicianship Group at Georgia Tech, Professor Gil Weinberg and his team develop prosthetic robotic arms that allow amputees to play music like no human can, with virtuosity and speed that are humanly impossible. From a prosthetic drumming arm that has a “mind of its own,” to the Skywalker hand that uses ultrasound and deep learning to allow amputees to play piano, these technologies are empowering those who lost hope of ever playing music again to become super-able traveling musicians. Some of Weinberg’s inventions including “The Third Arm” have also brought such extra abilities to able-bodied people, demonstrating how technology originally developed for people in need can emerge from the lab to empower us all. Jazz is a metaphor for life. On one side, this art form celebrates improvisation – listening and responding to collaborators, generating new ideas on the fly, being constantly ready to change one’s plans while expecting the unexpected. But jazz also requires planning, working within a structure, following well-defined processes, and exercising discipline to achieve results. 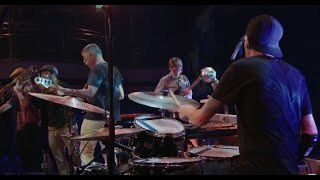 So what can jazz performance teach us about the balance between improvisation and structure, and how can we bring such a balance to everyday work and life activities? 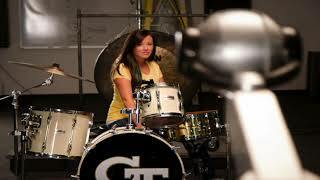 With the Robotic Musicianship Group at Georgia Tech, Gil Weinberg and his team study jazz improvisation in an effort to develop robotic musicians that combine process and product, creativity and discipline, improvisation and structure. The software and hardware powering these robots can lead us to new insights on how to bring together such seemingly opposing forces, so we can adapt to change while pursuing our creative goals both in music and in life.